An inmate in the US state of Tennessee has been executed by electric chair after arguing that a lethal injection would involve suffering. David Earl Miller, who spent 36 years on death row, was the latest of an increasing number of inmates attempting to avoid lethal injection following several botched executions. Lethal injection is the state's main method of execution. Prior to Zagorski's execution, the electric chair had not been used since 2013. Miller was pronounced dead at 19:25 local time on Thursday (01:25 GMT Friday) at the Riverbend Maximum Security Institution in Nashville. Tennessee department of correction spokesman Tylee Tracer said that Miller's last words were: "Beats being on death row." Miller was found guilty of killing a 23-year-old mentally ill woman in 1981. Zagorski's execution was the second time the state's electric chair had been used since 1960. In September a doctor told a court in Tennessee that Irick felt pain akin to torture during his execution, The Tennessean reported. Dr David Lubarsky argued that the midazolam sedated Irick but did not prevent him from feeling the effects of the other two drugs injected as part of the execution. Proponents of lethal injection argue that the process is painless. Miller was also one of four death row inmates who brought a federal case asking Tennessee to use a firing squad instead of either lethal injection or electrocution, the Tennessean reported. In neighbouring Alabama, more than 50 inmates have chosen to be killed in the nitrogen gas chamber rather than be given a lethal injection after being given the option earlier this year, Vox reported. 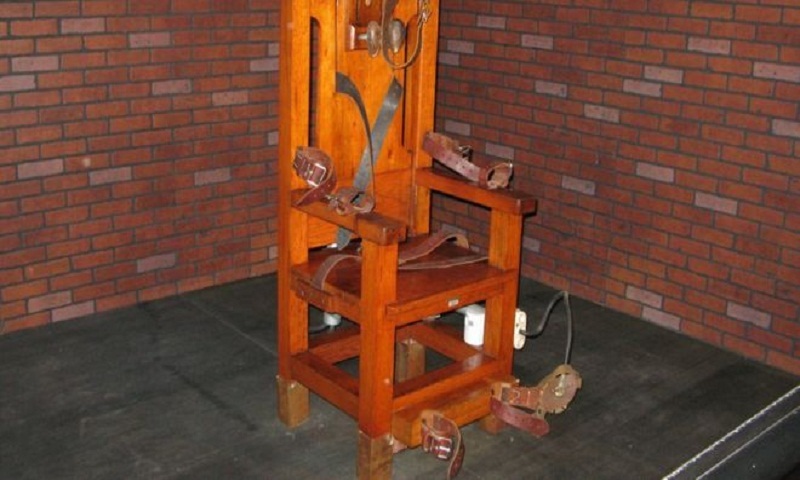 Which states use the electric chair? Electrocution is no longer the main method of execution in any US state. However, Miller was told he could not argue that the electric chair was unconstitutional because he himself had chosen it, AP reported. Hanging was the most common form of capital punishment in the US until the 1890s. Then, the electric chair became the most widespread method. In 1982, the first execution by lethal injection was carried out by the state of Texas, after which it gradually replaced the electric chair across the nation.